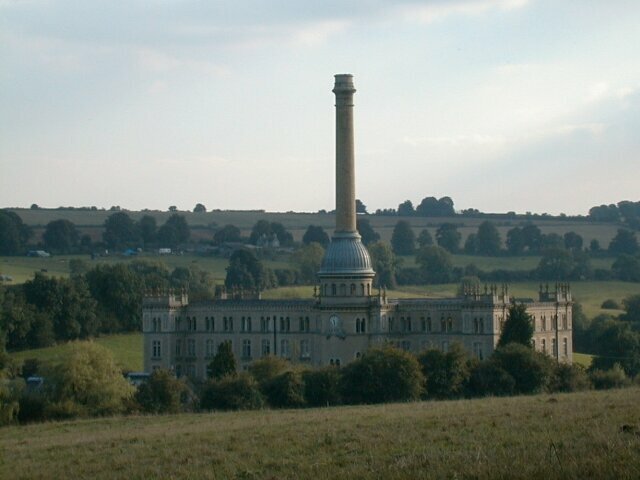 Bliss & Sons' Tweed Mill is just outside Chipping Norton (its grid reference is circa SP 310 250). 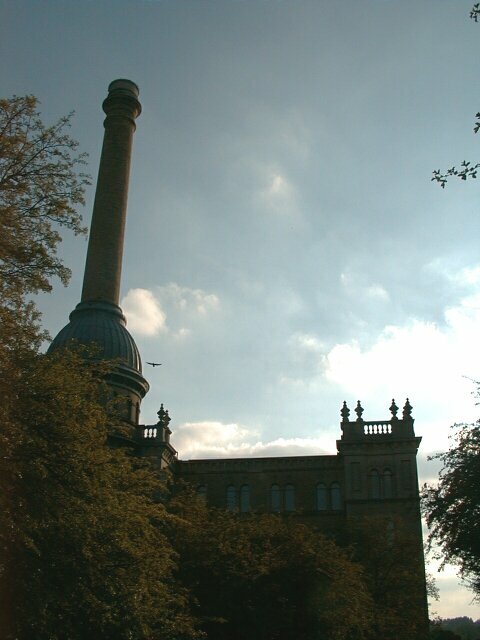 Designed by George Woodhouse for William Bliss II and completed in 1872 or 1873, it was a woollen mill until 1980 or 1982. (My sources don't agree on the years.) In 1988 or thereabouts it became a residential block, Bliss Mill, with 34 apartments and all the appurtenances of rural life (squash court, jacuzzi, etc.). It's next to Station Mill Antiques Centre. 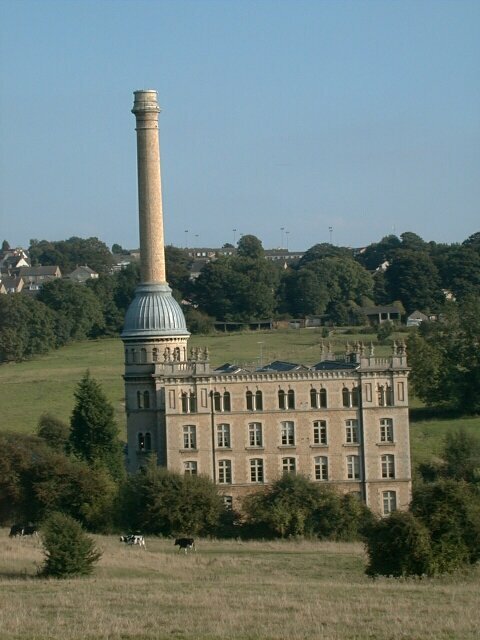 Gwyn Headley and Wim Meulenkamp write, "the driver who on leaving Chipping Norton and seeing the mill for the first time doesn't narrowly avoid driving off the road in shock is blind to the delights of architecture." Very true. What Headley and Meulenkamp are too polite to comment on is the resemblance of the "gigantic Tuscan factory chimney erupting out of the domed bay front" (their description) to a toilet plunger. Binney, Marcus, et al. Bright future: The re-use of industrial buildings. London: SAVE Britain's Heritage, 1990. First sellotaped together 12 February 2001, link fixed 23 April 2006.